Leah MacKenzie is a very sick girl. Yet, she has hopes and goals and dreams. One item on her bucket list is to read 100 books before she dies but her days are numbered unless she receives a heart transplant. This proves to be even more difficult because of her rare blood type. But when the unthinkable happens and Leah finds herself with a new heart, she begins to feel she may have another purpose. Matt is grieving the loss of his twin brother. His brother committed suicide — at least that’s the story. Matt is convinced that Eric would never kill himself and is determined to find out the truth. When Leah learns she has Eric’s heart, she reaches out to Matt to try to make sense of these strange dreams she has been having. They forge a friendship based on love and loss and work together to solve the mystery and heal from the pain surrounding Eric’s death and — although it all sounds predictable — it is nothing you will expect. 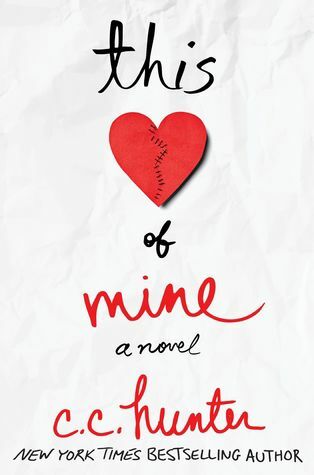 This Heart of Mine is a story of loss, grief, friendship and love. I loved this journey.